This will be one of the closest World Cups it seems and it will be fun watching the top teams clash. The 12th edition of the 2019 World Cup is going to take place in England and Wales from 30th May to 14th July 2019. Unlike the previous events, each team will play with every other team once and the top four teams will qualify for the semi-finals this time around. The round-robin format provides equal opportunities to each team to showcase their strengths and qualify for the semi-finals. World Cup 2019 will feature ten teams (a decrease from previous WC) playing forty-eight matches among them. The first match will be played between the hosts England and South-Africa at Kennington Oval, London. Currently, England is the number one ODI team in the world and with the kind of cricket they are playing, they are favorites to lift the cup. In recent years, teams like Bangladesh and Afghanistan have shown what they can bring to the table and taking them lightly would be something no team would be considering doing by any stretch of the imagination. The tag of minnows is no longer valid in the modern-day cricket as any side is capable of beating any big team on any given day. This will be one of the closest World Cups it seems and it will be fun watching the top teams clash. Also, with nine games to be played in the league stage, it gives all the teams a fair chance to bounce back in case they start badly which is the most interesting part of this format. England are definitely the favorites to lift the prestigious trophy in 2019 given the rampaging form their players are in at the moment in the ODIs. The Three Lions will be playing in the home conditions which is an added advantage to them. Eoin Morgan’s team, currently sitting at the top of the ODI rankings, have top-ranked players like Joe Root, Ben Stokes, Jos Buttler etc who on their day can tear any bowling unit apart. The Brits won every series they were part of in 2018 with the exception of a one-off ODI against Scotland which they lost. They had won series against Australia (4-1), New Zealand (3-2), Australia (5-0), India (2-1) and Sri Lanka (3-1). 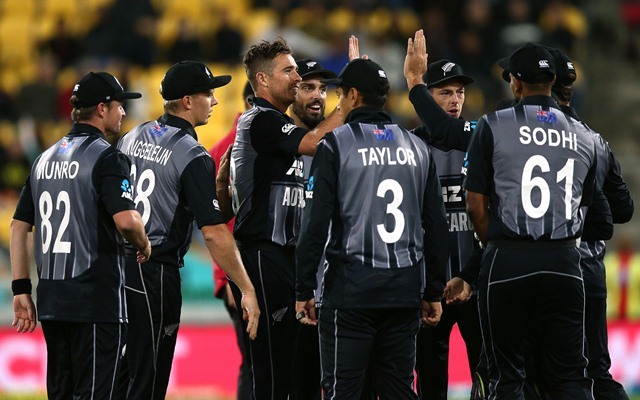 It is noteworthy to mention that apart from the series against Australia, which England won 4-1, the ones in New Zealand and Sri Lanka were not home series’ and winning against such reputed teams in their backyard is quite commendable. The English team is a well-balanced one with a good mix of bowlers, batsmen, and all-rounders in the team. It will be noteworthy to mention here that the last two editions of 50-over Cricket World Cup were won by the host nations: India (2011) and Australia (2015). England, apart from T20 WC 2010, have never won any major ICC trophy yet. It won’t be wrong to say that the current England team is by far the best ever but only time will tell if they can repeat history by winning the coveted trophy in their backyard.